In putting together this season's "gift guides", I knew I had to include my amazing sponsors. Besides supporting D&OC, they're there as a resource for readers to "discover" QUALITY, unique businesses and blogs. I stand behind my sponsors and wanted to make a gift guide for the upcoming season using items you'll find by simply clicking on their buttons. Some Like it Vintage- newly re-launched, this shop is chalk full of vintage goodness and has a plethora of gifts for anyone who cherishes great vintage design. 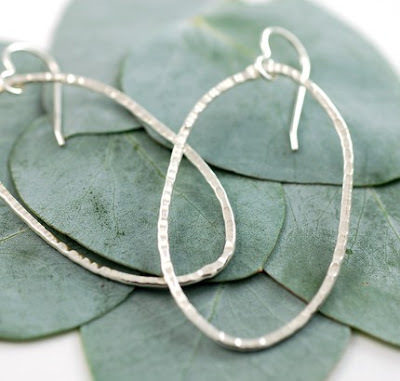 Beth Cyr- beautiful, understand, elegant jewelry. 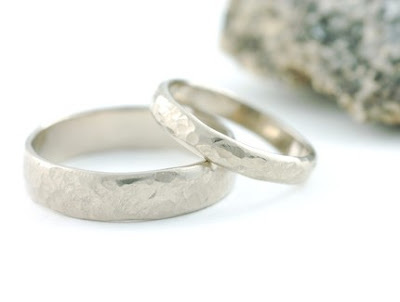 Find unique pieces made from recycled metals and conflict free diamonds for your future wedding ring, or surprise a friend with a quality piece that won't go out of style. 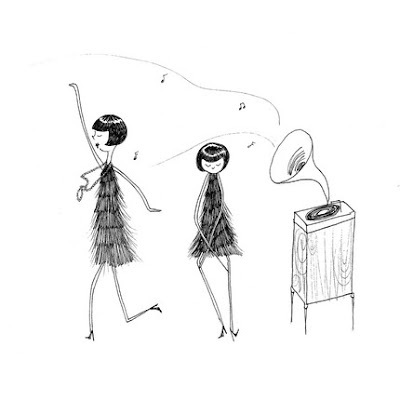 Flapper Doodle- Kate is amazingly prolific and the flapper doodle girls have been up to more than ever before. Have a friend that needs some life to her decor? Look no further. 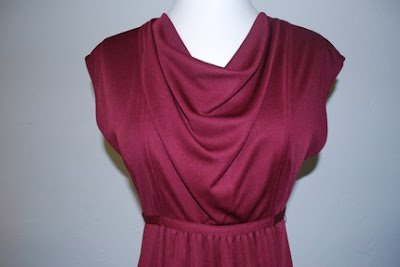 Reverie Daydream Boutique- looking for eco-friendly gift giving options? Reverie Daydream has an amazing selection of thoughtful, classy gifts that anyone (and the earth!) can appreciate. a perfect peach- a fairly new vintage shop on Etsy, a perfect peach has affordable vintage options that are great for expert and novice vintage shoppers alike. Enchanted Leaves- are you looking for whimsical gifts that are completely unique and kind of fanciful? 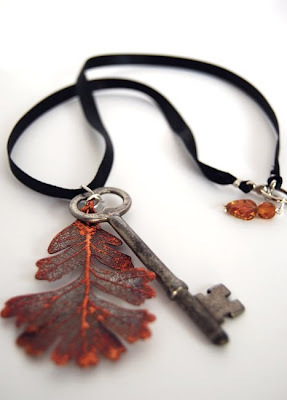 Enchanted leaves has gorgeous jewelry that will make a one of a kind impression. Are you looking for Indie finds this season? 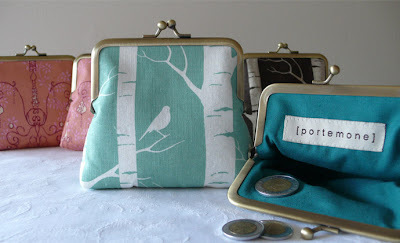 Are you looking for an unpretentious blog to introduce you to indie designers and businesses? Visit Nonpareil. You'll be impressed. If you're interested in sponsoring Down and Out Chic, drop me a line at downandoutchic@gmail.com and I'll send you my affordable rates. They are all so lovely! 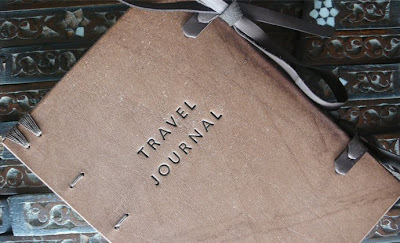 I'm dreaming of that gorgeous travel journal. It is so special, the kind of thing that would become family heirloom. Gorgeousness! 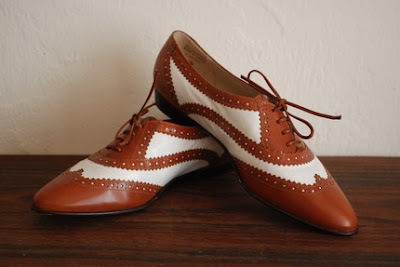 ...love the first dress and oxfords. Great sponsors! LOVE the first dress and bag - so cute!! oh, so many places to stop this morning! Yay! Great selection! Love the vintage floral dress and key/leaf necklace! These were gift ideas?? Hmmm... MY wish list just got longer... I want these all for myself! LOVE the silver earrings.... So many great gifts! What an incredible display of talent! such lovely things...off to check out that first dress! you DO have amazing sponsors!!! i just got the most divine candle from reverie. it has the most amazing scent! now i need to buy from your other sponsors! 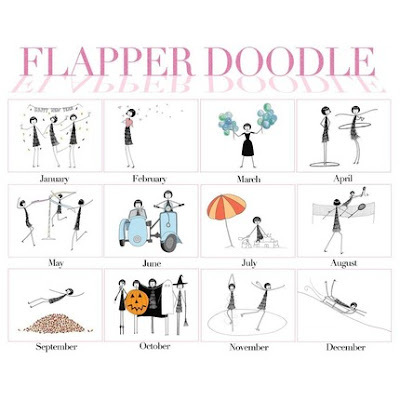 Kate and her Flapperdoodles really are stupendous! Thanks so much for posting this, Christina! Love that first dress on top, too! Love that first dress, the earrings, and the artwork! So much fun! I love the vintage finds! i can finally wear normal clothes after dropping poundage via veganism, and I've added so many favorite stores, these are being added for sure. I love Kate's calendar. I'm keeping my eye on her coloring book, too! I love that purse. So sweet. thanks so much for the sweet words...I love being an advertiser on your blog!! And, what great goods from your other adverisers!! Amazing sponsors! Seriously! So beautiful! 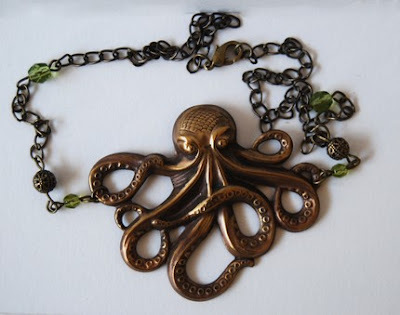 I love the pieces from Enchanted Leaves!! GORGEOUS!! Majorly loving the Kashgar Travel Journal! Eek... I love that sequin purse. You have some awesome sponsors! Love their work.